This 9 year old custom built home by Vaughan Builders sits on a lovely property within the award winning Traymore community. Originally the stable house site of the Saul Estate, a new home was built in its likeness using the original stone for the facade and the elegantly understated style of the arts and craft era synonymous with historic Rose Valley. The preserved stone courtyard walls showcase original John Maene faces and the perfect setting for your secret garden. Once inside, you'll instantly feel the well-crafted construction and attention to detail. This bright inviting home has stately 9'8" first floor ceilings, custom Halkett Woodworking built-ins, and site finished hardwood. The wainscoted Dining Room is spacious for holiday gatherings. 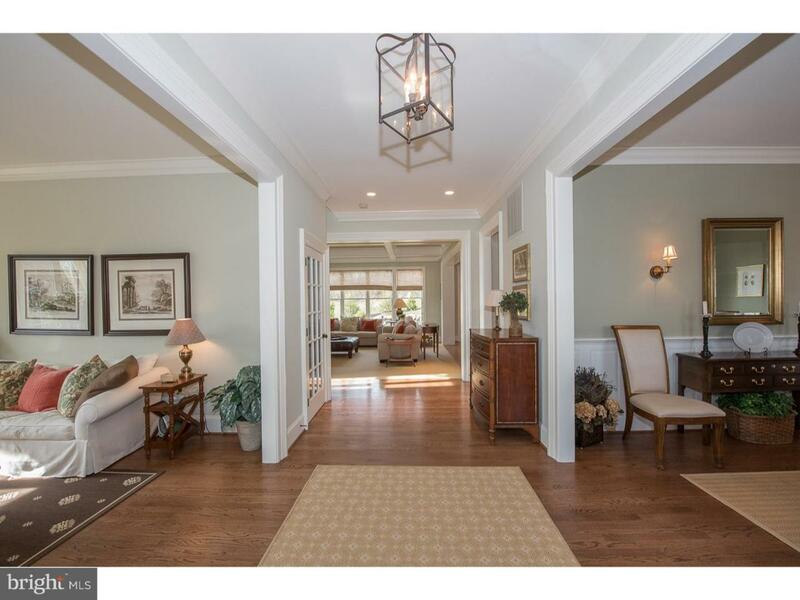 Double doors and a transom lead from the Living Room into the Study, a home office or quiet retreat with a good book. The Great Room has coffered ceiling moldings, custom mantle and bookcases, and a gas log fireplace. A wall of windows looks out onto the flagstone patio and woods. The Kitchen is the heart of this home with its open design, overflowing into the cathedral ceiling sunlit Morning Room. Inset door cabinetry, granite countertops, Bosch stainless steel appliances, paneled refrigerator, and a huge island make this Kitchen a cook's delight. Or for the not so gourmet cook, pop over to Media, five minutes away, for Dining Under the Stars or takeout cuisine. The Mudroom off of the oversized 2 car garage has beadboard cubbies and a walk in pantry. Oak Stairs lead you to the second floor and a landing window seat with a view of the courtyard. The handsome Master Suite has a tray ceiling, two walk in closets and Master Bath with deep soaking tub, large frameless glass door shower and two vanities. The 2nd Bedroom is highlighted by a cathedral ceiling, walk-in closet and ensuite bath. 3rd and 4th Bedrooms share a compartmentalized bath. 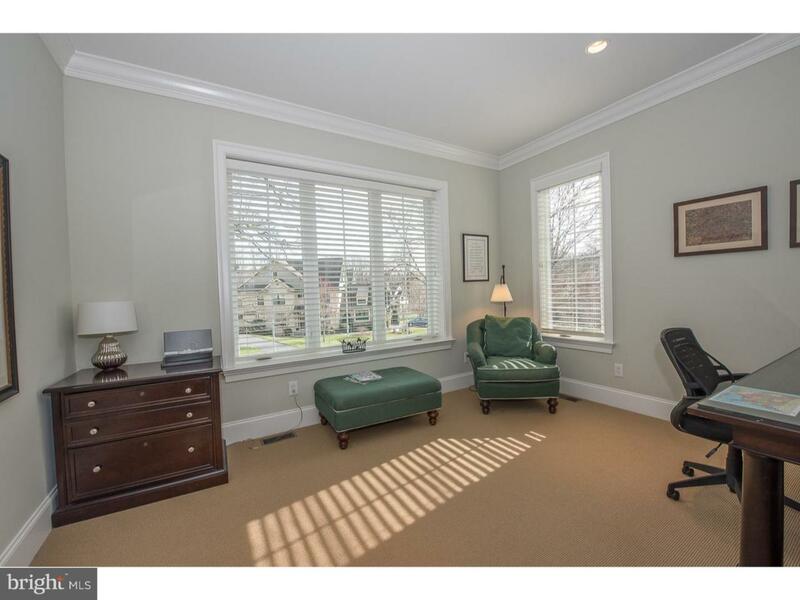 The huge 4th Bedroom with it's dormer sitting room has a giant walk in closet and storage closet. The lower level is finished with a triple window and roughed in plumbing for you to design you own full bath. Adjacent to the Saul Wildlife Preserve, a delightful place for a stroll along Ridley Creek or walk Rose Valley's extensive trail system to Hedgerow Theatre, The Old Mill, the Rose Valley Swim and Tennis Club, and the Rose Valley Museum. 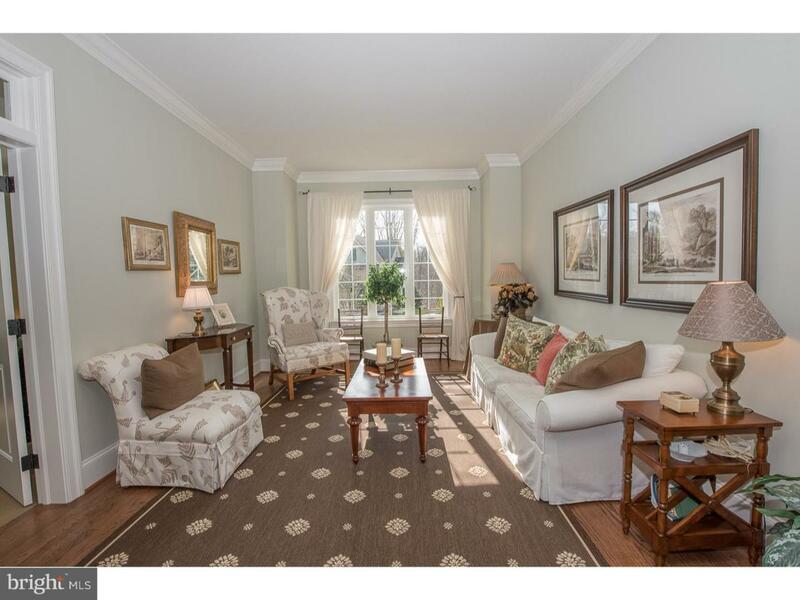 A tranquil setting yet convenient to the Main Line, Moylan/RV train station, the airport and Center City.